At The Law Offices of Robert Elovitz in Edwardsville, Illinois, our team focuses on providing professional, high-quality criminal defense and family law representation to our clients in Madison and St. Clair counties. With more than 20 years of experience, we spend the necessary time with each client to thoroughly understand his or her particular situation, develop the best strategy to address that situation and obtain effective results in an efficient and cost-effective way. We offer free initial consultations and accept credit cards. Whether our clients have been charged with a misdemeanor or a felony, we know that this is one of the most difficult times of their lives. They are concerned about their freedom, their rights and the long-term consequences of possible conviction of a crime. Our team stands ready to help at every stage of the process from arrest through trial and, if necessary, appeal. 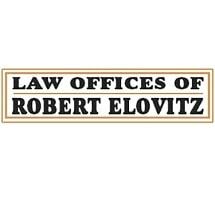 At The Law Offices of Robert Elovitz, we know that family law disputes are some of the most difficult and emotional issues that our clients face. Their families are breaking up, and they are concerned about their children as well as themselves. We take the time to get to know each client individually and help him or her understand all the options available. Then we help develop unique, innovative and fair solutions to whatever problems he or she faces.